For some low-income families, the holidays find parents in the position of choosing between buying gifts for their children or falling behind on their bills. Support from Wellspring’s Holiday Store eases this stress and financial strain. For one weekend each December, Wellspring House transforms into a toy store. Low-income parents are invited to “shop” for toys and gifts for their children. $2 buys three toys and a book or video. 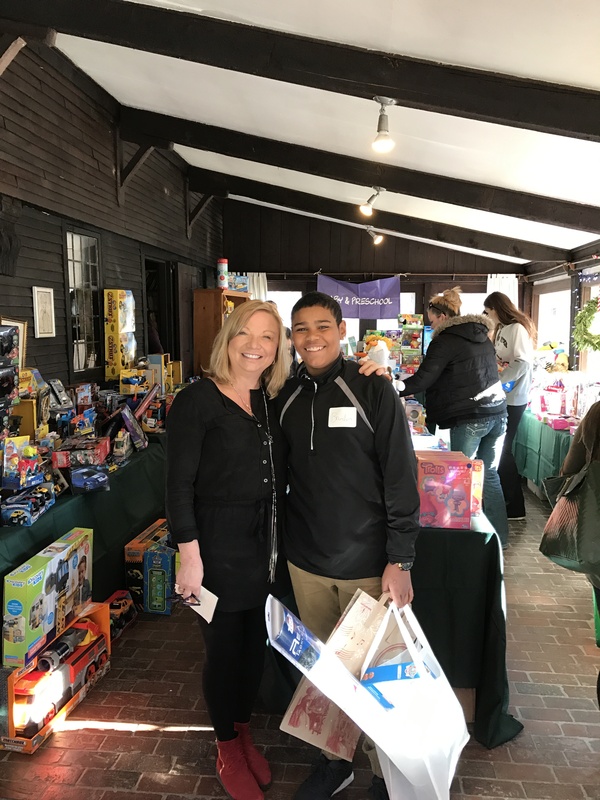 Now in its 21st year, Wellspring’s Holiday Store relies strongly on toy donations in order to operate. Last year’s Holiday Store served 804 children from 344 homeless and low-income families from our region. That’s over 1500 toys! This year, our Holiday Store will be held on Saturday, December 9th and Sunday, December 10th. Please consider making a child’s holiday and easing the financial burden on those in need by heading up a toy drive or making a financial contribution. Churches, book groups, dinner clubs and birthday parties are great places to get started. Also a perfect service project for your student. All gifts should be new, unwrapped and non-violent. Gifts may be dropped off at 302 Essex Avenue from Monday, November 27 until Wednesday, December 6, 2017 from 9am to 4pm. For more information on how to get involved contact Katie Misuraca, Development Associate at kmisuraca@wellspringhouse.org or 978-281-3558 ext. 303. Volunteers Trish Castraberti and Brandon Bruce restock toys at Wellspring’s Holiday Store last year.